Update 23 November. 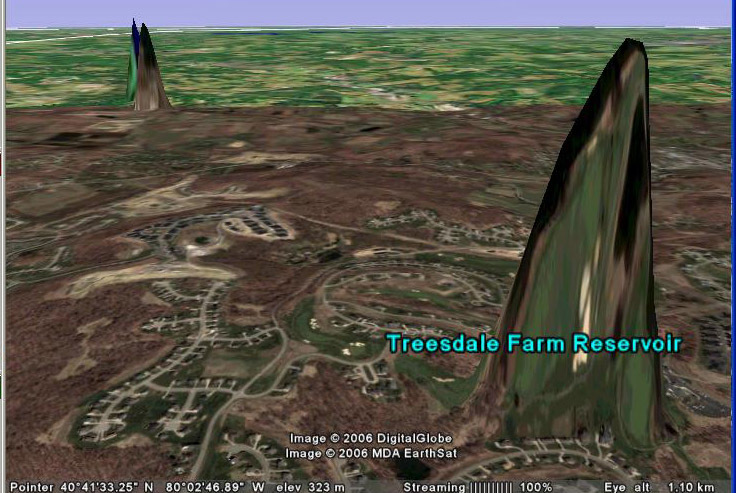 New Google Earth terrain is now on line. The older GE images accessible via the links below are out of date. Start up Google Earth - and see the differences! Oops.... I wonder if Google will fix these towers north of Pittsburgh, or retain them for us to poke fun at. Here's another tower, from another well known corporation; it's NE of Dom, in the Swiss Pennine Alps.